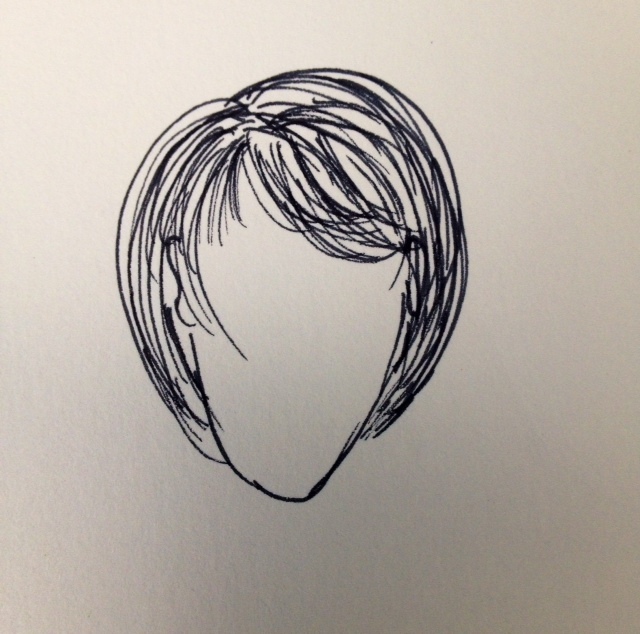 I have some great tips for growing out short hairstyles, and doing it with style! You don’t have to suffer through the frumpy stages if you can just muster a little patience and be open to some cute styles along the way. I’m also sharing my best healthy hair growth tips, so settle in and get ready to achieve the long, flowing locks you’ve always wanted! You’ve been rocking short hair for a while, and you’re ready to grow it out. Or, you chopped off your long, flowing locks on a whim, to donate to those less fortunate, and you’d like to get them back as quickly and painlessly as possible. Better yet, you’re finally starting to have some real hair after losing it all to chemo, and you don’t want to quit until you can get it into a ponytail! If any of these scenarios sound familiar, then this post is for you. There are way too many cute in-between styles to suffer through growing our short hairstyles! The best way I can show you what I have in mind is the way I always do: I will draw it for you. 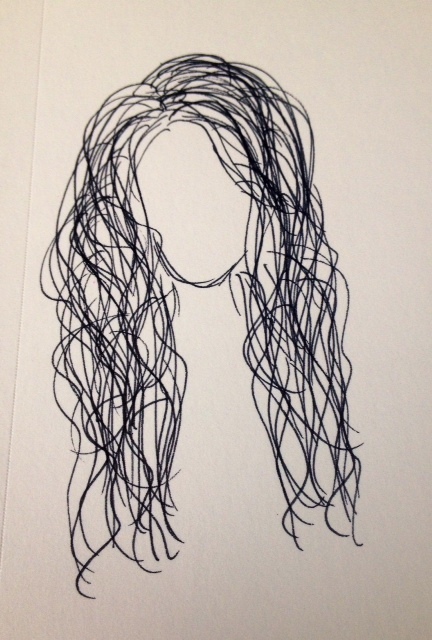 I hope my simple ink sketches can show you the way to gorgeous, long locks, without the headache! or some variation of this. Maybe you have bangs, or maybe it’s 3/4 of an inch long all over, but at some point you will be in the vicinity of the above haircut. You want to get to here? It’s not that horrible, but you can’t really put it up, and the back is looking kind of mulletey…but you don’t want to cut it if you’re growing it out, right? Actually, wrong. What happens if you ask your stylist to cut the back to the length of the sides, blend the layers, and add a little texture? Well my, my…how cute is that? What’s that? You like bangs? Done! At this point, your hair can grow out evenly, without having to spend any more time in mullet town. 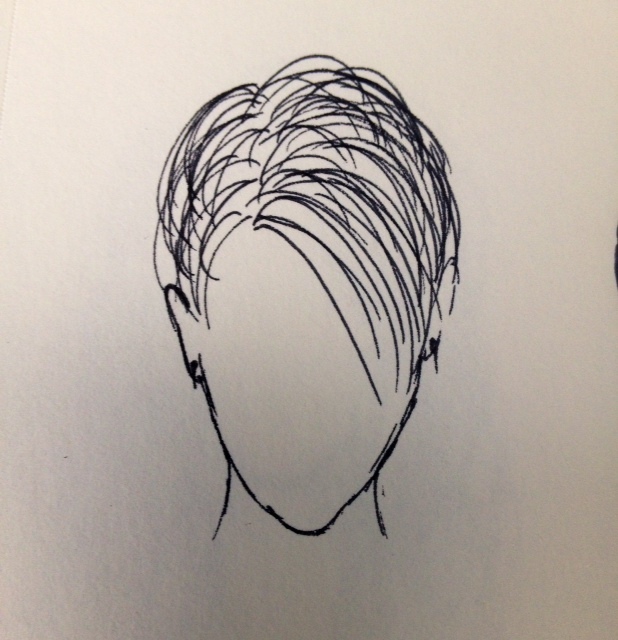 You could request this cut with face-framing layers, with a disconnected crown for volume…the possibilities are huge. You should be able to go a little longer between trims once you get to this stage, but not too long! Anything over 8 weeks will probably do more harm than good in the growing out process. I’ll bet you are wondering about this age old question: does cutting your hair make it grow faster? The answer is, yes and no. No, cutting your hair does not necessarily speed up growth, but not cutting your hair can definitely stunt the growth. Going too long between haircuts creates dry, split ends, which means you’ll be fighting a losing battle. Your hair will still grow out from the scalp like it always has, but the ends will be slowly shrinking their way back toward the root. Which means, yep, it won’t really get longer. For faster growth, you need healthy hair, and the best way to keep your hair healthy is to get regular trims. Growing out short hairstyles does not mean you should skip haircuts! Just getting 1/4″ to 1/2″ inch trimmed off every couple of months can really help keep your hair in tip-top shape while you grow it out, helping you grow hair longer fast and reach your goal! Having patience while growing out your short hairstyle is hard! You’re envisioning those long, luscious locks in your goal picture (we all have one when we’re growing out short hairstyles), and you have to wait! UGH! Anyone who decides to go from short to long with her hairstyle wants to grow hair longer fast, and I have some great tips for you to do just that! And, no, it won’t be tips like, “brush your hair 100 strokes while holding your head upside down on a full moon”. These tips will really work! There are some acclaimed super fast hair growing products out there, and I have certainly not tested them all. I have really thick, wavy hair that grows fast enough all by itself, so I don’t have a need for such products. I do know of a few that I have seen results with on clients, and I’ll share those with you today. Following are my best healthy hair growth tips. Biotin: This dietary supplement really works to improve the health of your hair, skin and nails. It can also be dangerous if you take too much, so only take the recommended dosage. As with any health supplement, it is best to consult your doctor before taking Biotin, and make sure you’re not doing more harm than good. However, I have seen first hand what Biotin can do for hair health and hair growth…it really works! If I was going to take this supplement, this is the Biotin that I would buy, because of my experience with the brand and how it has worked for me and my family. Wet Brush Pro. The Wet Brush paddle brush (<—click to buy!) is my go to hair brush! As a hairstylist, I have always recommended using a comb on wet hair, until Wet Brush came out. Using just any old brush on wet hair causes unwanted stretching of the hair strand, which increases breakage…definitely not conducive to growing out short hairstyles! Get yourself a Wet brush paddle brush and start seeing the difference; you won’t be sorry. Scalp Massager. You need this weird looking scalp massager in your life, and by clicking the link you can get two of them for under $2 from Amazon! It is proven that stimulating the scalp improves hair growth and scalp health, and OH MY GOODNESS does this thing feel amazing! Jimmie bought me one a long time ago, and I use it all the time, just because I love the way it sends good chills down my spine and relaxes me. Use it nightly to keep your scalp stimulated and your hair follicles awake and alive, and to help you grow hair longer faster! 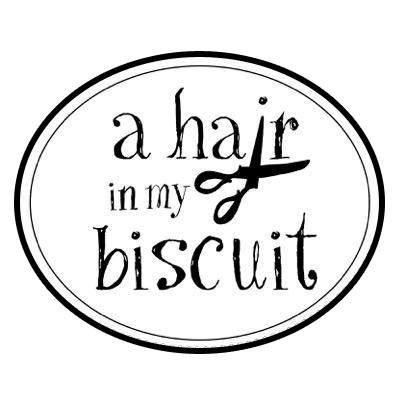 Healthy hair is something I’m a huge proponent of, and I’ve shared my thoughts on it in previous posts, like Summertime Hair and Saving Hair From the Flat Iron. You have to take care of your tresses if you want to achieve long, beautiful hairstyles. With these tips for a cute in-between haircut and some awesome products to promote hair growth, you should be on your way to growing out your short hairstyle in no time. 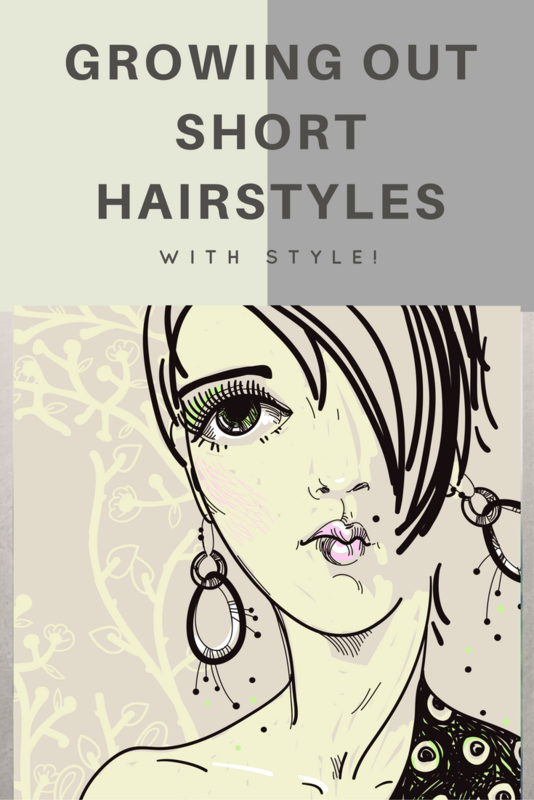 Enjoy your cute new style, and enjoy growing out your gorgeous hair until you reach your hair goal. Don’t let scraggly, uneven hair ruin your growing-out experience. With a little imagination, the right products, and a great stylist, anything is possible! Enjoy your Wednesday, and have a GREAT hair day! Rare Friday: Wired and Inspired! Yay Me! It does help! I love pixies, though. Wish I could pull it off! I loved your post! Even if it’s not for me! Great what you did. Great post and brava on the super sketches! What an amazing artist you are! I hope so! 🙂 thank you so much!! I’m taking your side bob sketch and my new lingo “disconnected crown” (whatever that is) with me the next time I visit my hair guy. That’s interesting! I haven’t heard that, although coconut oil is great for lots of things. I’ll do some research!